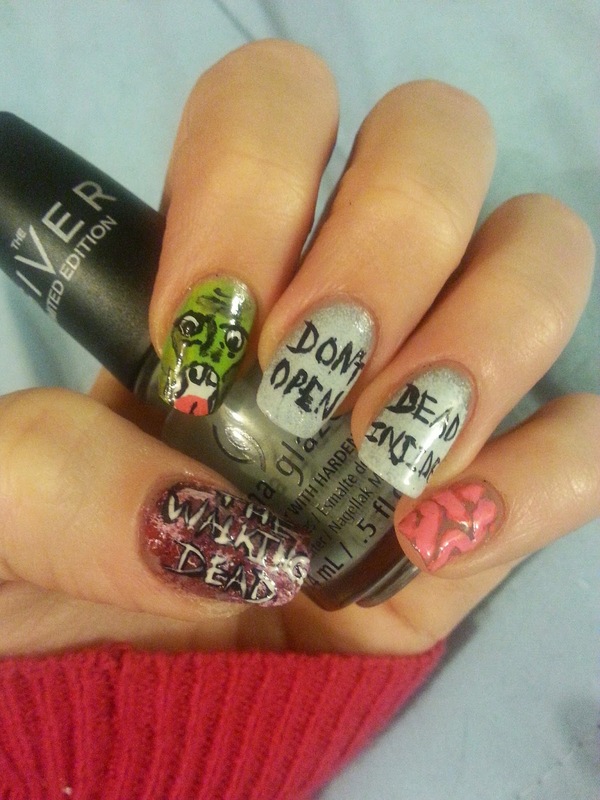 Just gearing up for the new season of my personal favorite zombie apocalypse show (and a likely string of Halloween themed nails) with this zombified Mani. 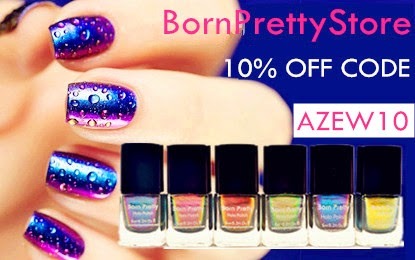 I am loving this manicure personally and I hope you will enjoy it to :) Here are the pictures! And a little closer up.. Thanks a lot! 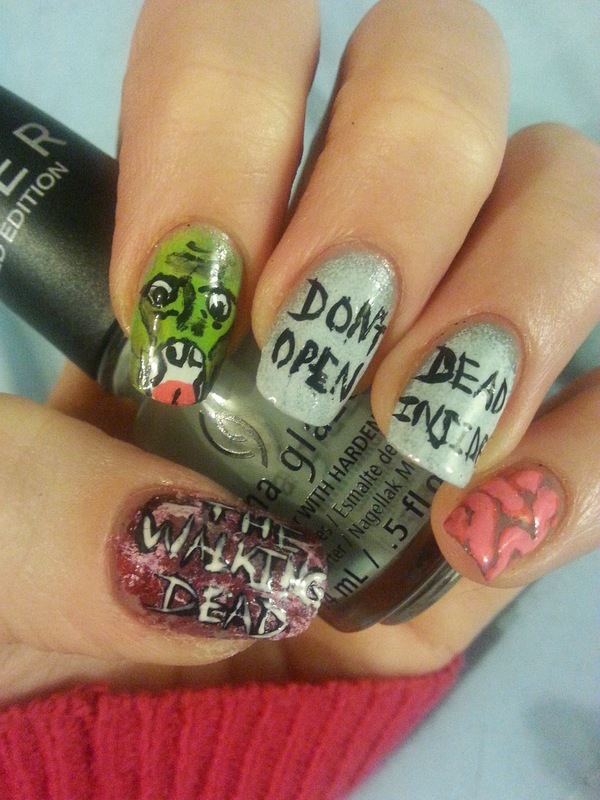 My favorite part is the brain nail! !